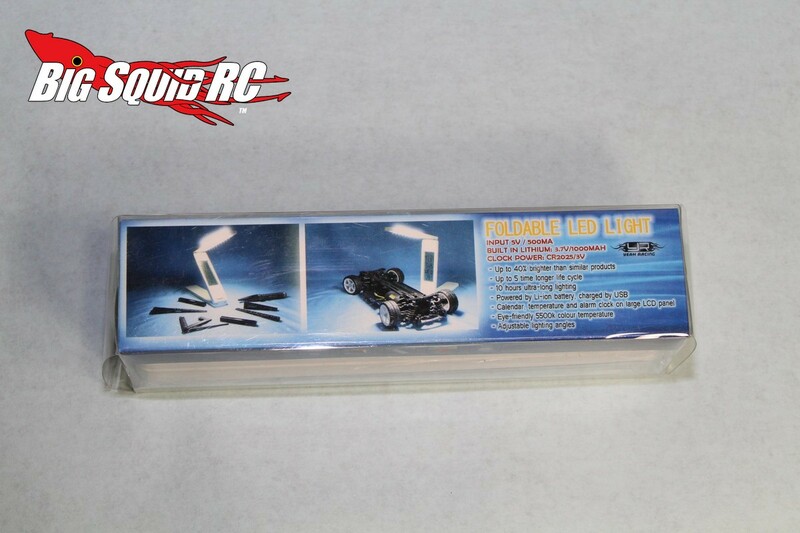 Product Spotlight – Yeah Racing Folding LED Pit Light « Big Squid RC – RC Car and Truck News, Reviews, Videos, and More! We’ve all been out bashing and lost track of time, before you know it the sun is going down and the Slash you were working on a couple hours ago is still in a hundred pieces on your tailgate. Suddenly you need some light, but the nearest AC power outlet is 5 miles away. 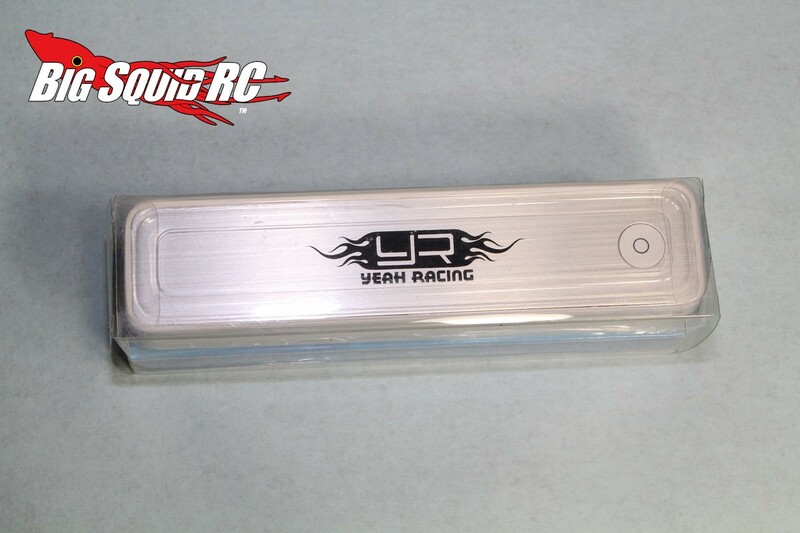 The Bash Crew has been using an LED pit light from Yeah Racing for weeks now. 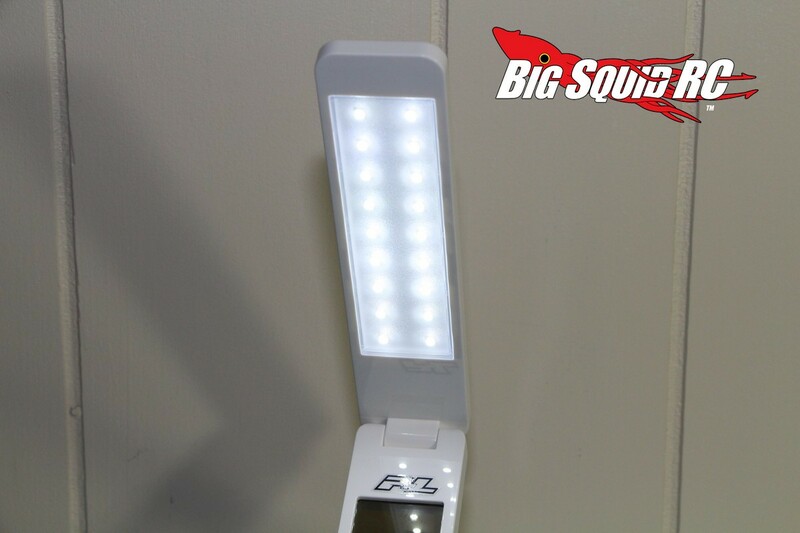 It folds down and takes up very little space in your tool box, yet puts out a lot of light. Perhaps more importantly, it has a rechargeable Lithium battery inside that lasts for close to 10 hours, more than enough for a day at the track, or for putting your truck back together as the sun goes down. 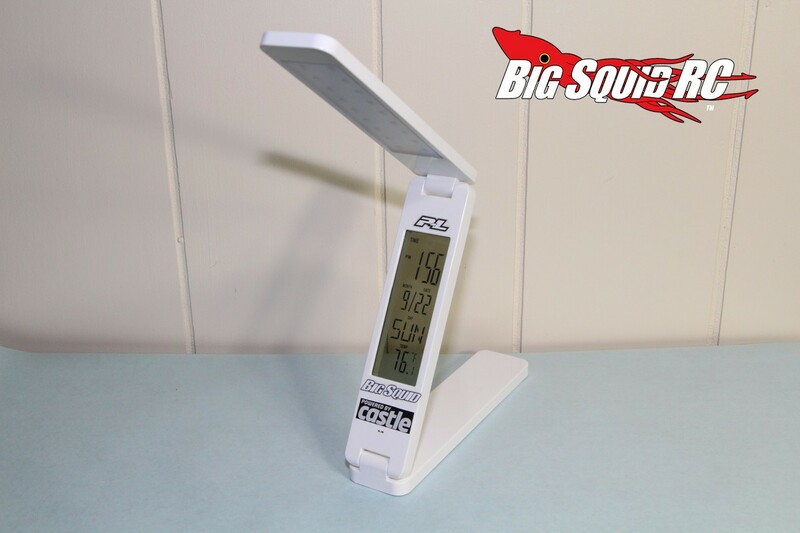 There are some other neat features that come on the Yeah Racing pit light like a built in thermometer, a calender, and even an alarm clock. Ours has worked well, putting out lots of light and we rarely have to charge it. Its part number is #YA-0295 and we got ours from RC Mart. 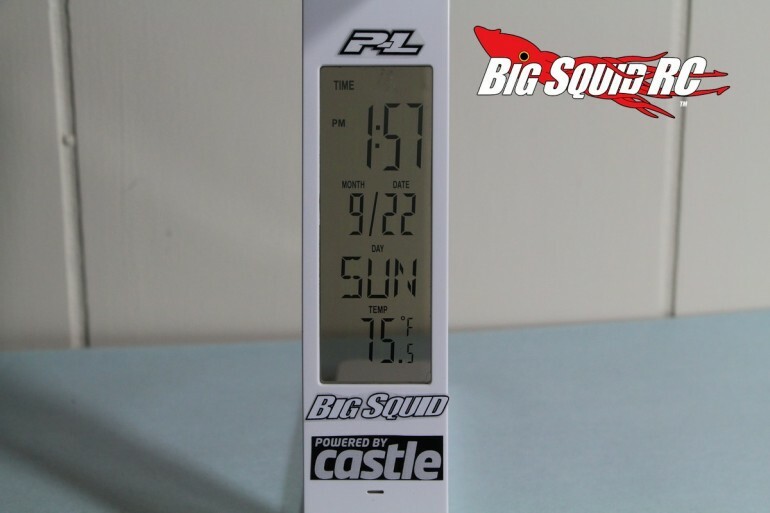 It doesn’t break the bank at $29 and you can get more information at THIS LINK over on the RC Mart website. 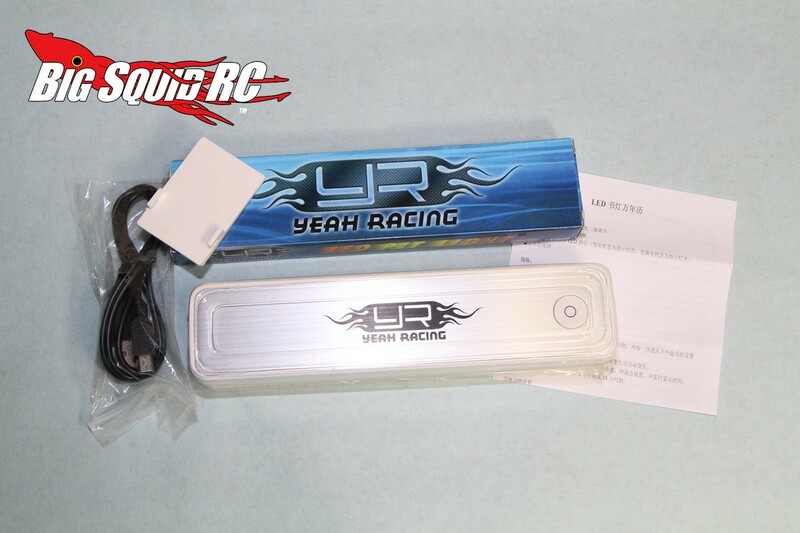 Click Here for more Yeah Racing news on BigSquidRC.